My Little Pony Arena » Forums » Pony Talk » Pony Corral » Post your cutest fakie! 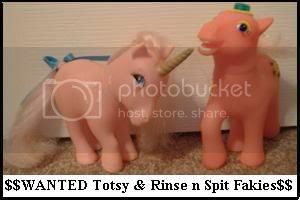 +more ^^"
Forums » Pony Talk » Pony Corral » Post your cutest fakie! +more ^^"
Post your cutest fakie! +more ^^"
Posted: 0 Post subject: Post your cutest fakie! +more ^^"
Sorry if the name of topic is lame...I have many fakie questions ^^"
So, could you be nice and post pictures of your cutest fakies? I love them all and i wanna see for what fakies try to hunt I will be really grateful. I recently got a really good luck searching for fakies, and i bought some pretty rare ones. 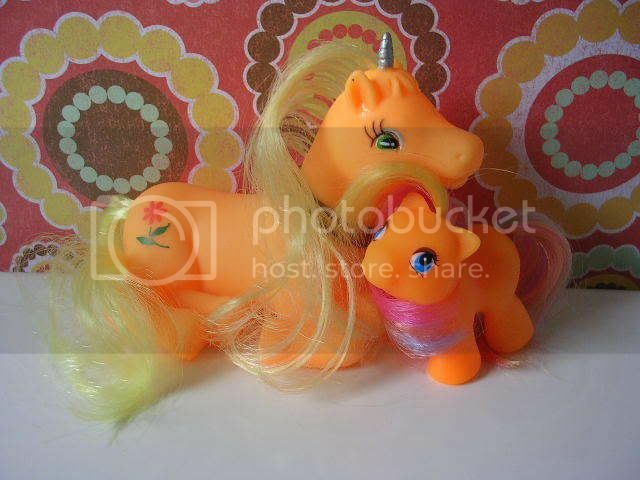 I got Lanard Baby Pony Tails fakie, Simba fakie in a pink, translucent chest(pony looks kinda G2-ish) and G3 base fakie pegasus and baby. When i go back home(im currently with my Grandma on holidays ) i will post pictures of them. I also got So Soft G3s" fakies, but i think they're rather common. Posted: 0 Post subject: Re: Post your cutest fakie! +more ^^"
There are G3 fakie babies?? In actual G3 molds?? Would love to see pics when you get back. Here are my two of my favorite fakies. The baby is just a DG fakie that I rehaired and never got around to finish customizing. The adult I got from allymer here at the Arena. I love her laying down pose. I really need to give her a thicker mane one of these days. I used to had one... (I sold her to Blitzn hehe). 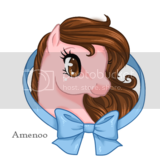 Big thanks to tearsofthunder for the pony lineart! Wow, I've never seen a G2 fakie like that, it's pretty good! Thankyou Woelzy. I can't thank you enough Bibiana! She is a much loved part of the herd that I feel lucky to have!!!! I need to find more time to take photos. 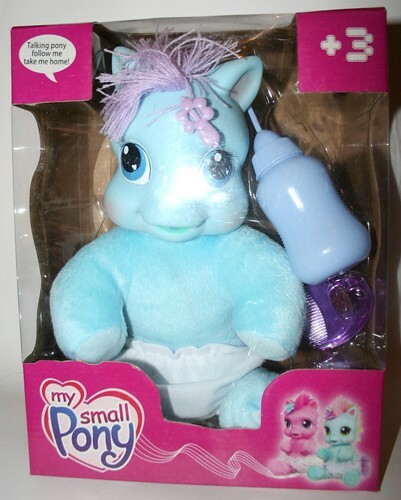 lol the my small pony looks even more like a troll than the real babies. But she's cute too. I really like your fakie G3's Blitzn, there's even a baby in the package. Oh, so there were some G2 fakies? This one is truly awesome! 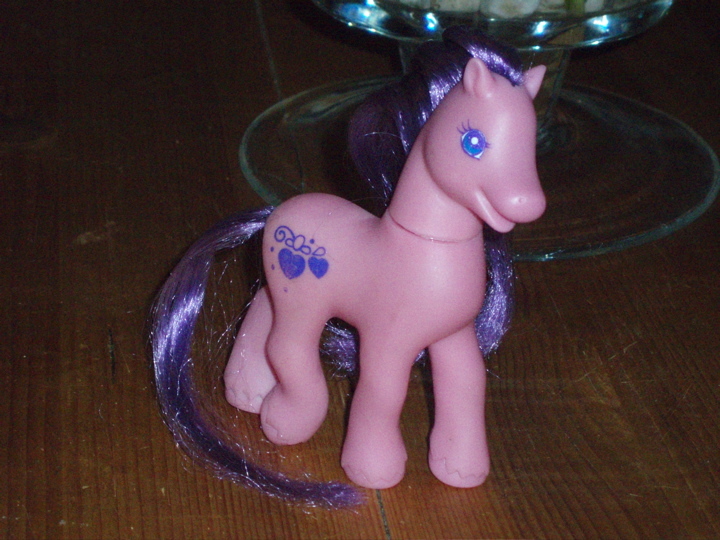 I don't know if the "baby" like So Soft G3 is made from regular G3 form, but it looks like a baby pony. 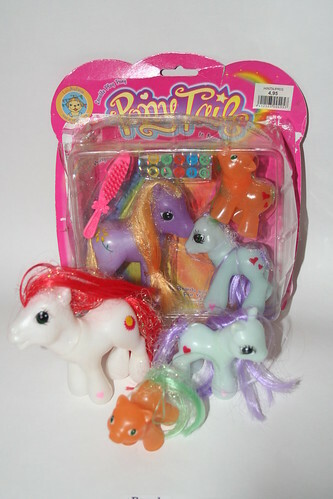 The biggest is for me adult, smaller-teen and the smallest is definitly baby pony. Aw, i love all your fakies! 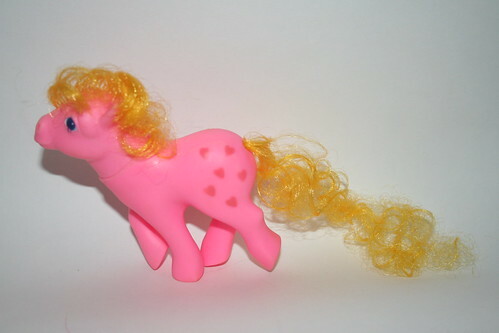 *,* Especially the pink G1 one and Pony Tails on G3 molds.